Moobels & Visual Dimension present 2/3D documentation strategy at the Rijksmuseum, Amsterdam. 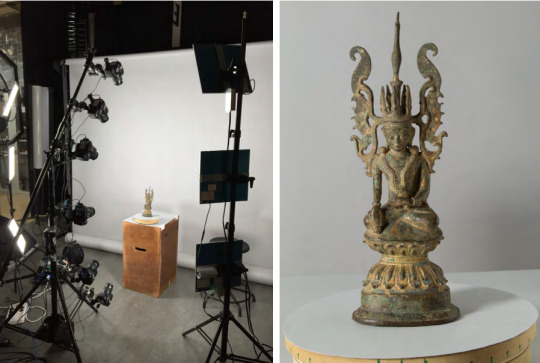 For the 2D + 3D Photography conference at the Rijksmuseum, held on the 15th & 16th April 2015, we cooperated in a workshop together with Daniel Pletinckx from Visual Dimension to present a “Strategy for optimal documentation of museum objects”. 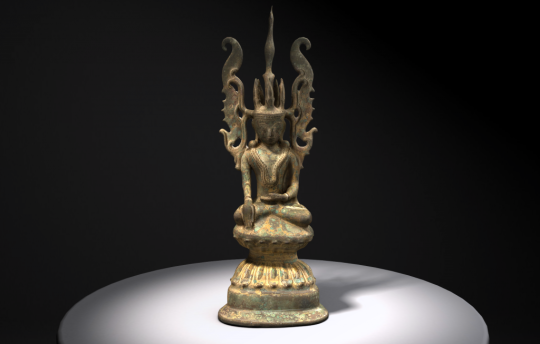 The proposed workflow aims at providing museums and historical and fine art photography professionals a cost effective and simple way to implement a process in which they can document objects in a workflow that is close to photographic principles but on the same hand offers a bridge towards 3D documentation. As you can imagine, there’s actually quite a bit more to it than this 🙂 More information on the workflow can be found in the presentation presented by Daniel Pletinckx, or by contacting us at our offices in Amsterdam (links below). Link to the online viewable 3D scan itself.